If you are into dragons and gargoyles, then this is the display for you. Our dragon spitter is strategically possitioned to be the folcal point of this incredible masterpiece. 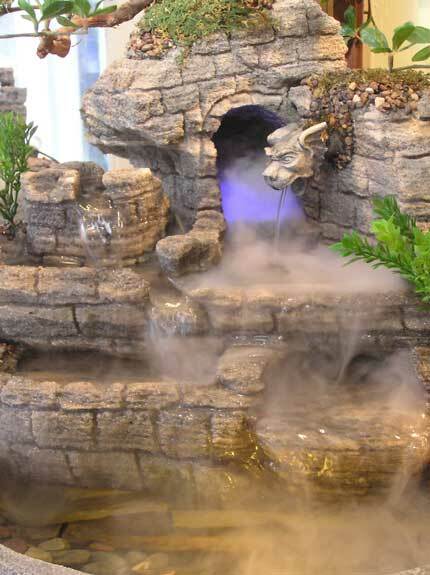 Notice the detail in the hand-sculpted walls where the waterfalls flow under the dragon. This particular dragon is called the luck dragon. This display will be delivered to your door in two boxes in just 3-4 weeks.